She is as kind, generous and bubbly as she is talented. 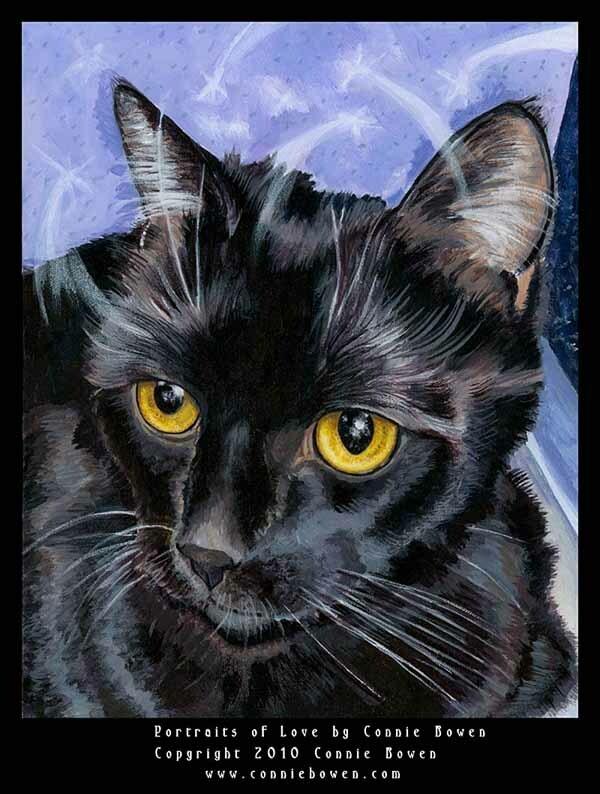 Last year, after I lost my cat, Dickens, Connie gifted me with a magnificent portrait of my wonderful boy. This week, Connie again surprised me with a photo of the portrait she painted of my forever cat, Pippen, who I lost last month. I took one look at the portrait and had to catch my breath, for there was my sweet girl staring back at me from the canvas! 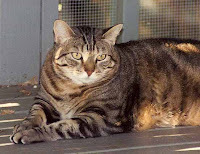 Pippen was a creature of the earth…grounded in every sense of the word. She used her body well. 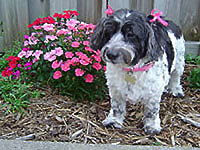 It took her to the three places she most loved – the food bowl, my bed and my lap! She felt so…well…permanent. I never would have thought that something with that much substance could ever go away. She was the exact opposite of her sister, Star. Gravity can barely keep Star earthbound! Connie has captured Pippen’s true essence in her breathtaking portrait! I can see Pip’s beautiful spirit lighting my precious girl from within. It IS Pippen, watching over me from her heavenly home in the stars! The confusion that filled her eyes in those last few weeks as the cancer took over is gone, and all that’s left is the love. Note the angel, there to watch over Pippen…and perhaps me, too. 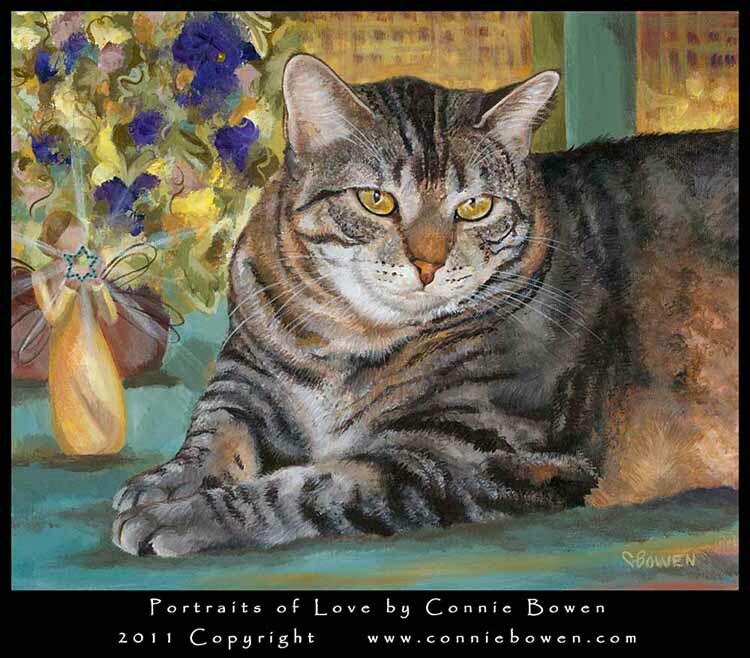 I wish every person who has lost a dear forever critter could experience the joy of having their furball live on in one of Connie’s paintings…for live on they do! And that is exactly what Connie painted. 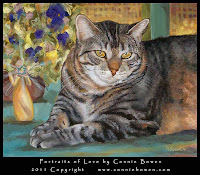 To learn more about Connie Bowen and her extraordinary books and artwork be sure to visit her website. Wow – those are wonderful portraits! 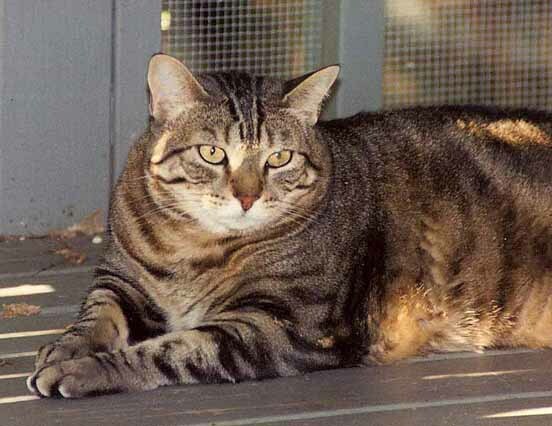 What a wonderful memento to have of your kitties! I agree, Tammy – Connie’s exquisite portraits really touch my heart! Beautiful pics!!! I am not as talented as Connie but I have done paintings of my cat, Cleo, and dog, Holly. I was working on a painting of our dog, Mags, and didn’t get to finish it before she left us last yr before Christmas. I am trying to finish it and although I have tears on it, it seems to help me deal with the grief. I’m so very sorry about Mags. I’m sure she’ll find a way to let you know she is watching over you as you continue with your painting. The tears will make it even more special! Connie’s portraits are truly “forever” gifts. Special photographs can capture the moment and the being, but capturing the essence of a being is another matter. My response when Pippen was stricken was “Oh no, this cannot be!” It’s good to know that you have this wonderful portrait to honor her memory. Thank you, Bob, for your kind words. Connie captured Pippen’s essence perfectly. It’s a comfort to look at her portrait and see my sweet girl watching over me!